Travel insurance is sometimes seen as complicated and costly. However, travel insurance protects you from unexpected problems when travelling for work or pleasure. With travel insurance, your medical expenses, lost luggage and even the cost of holiday cancellation can be covered (depending on the level of cover you purchased). Which travel insurance is the best in Singapore? The best travel insurance plan is one that provides the most cover for all eventualities, with significant payouts to cover all expenses, at the cheapest cost. The cost depends on where you are flying, how old you are and for how long. Therefore you need to search around to find the best deal. The best travel insurance is one that provides the most cover, with a significant payout to cover all expenses, at the cheapest cost. Travel Insurance is a policy that protects you from any unfortunate events that happen while you are travelling. They typically cover, medical, transport and Sports injuries. Can you buy travel insurance whilst abroad? 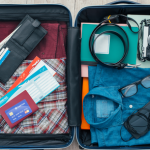 Buying travel insurance whilst already abroad is difficult, however, you can find insurance providers that will help, but you will need to do your homework. Yes, you can buy travel insurance after booking your flight, but it must be before the day you depart. Can you get travel insurance when already abroad? It’s harder to get travel insurance after you have already departed for your travels. However you can find insurance providers that are willing to cover the rest of your holiday, but you’ll need to search around. Can I extend my travel insurance? Yes, most travel insurance providers will let you extend the policy. However, there might be a maximum length and additional costs. We advise that you speak with your insurance provider as soon as possible. Is trip cancellation insurance worth buying? Yes, if your trip is expensive and you have uncertainty regarding your travel plans, then cancellation insurance can be very useful. Travel Insurance is not necessary if you wish to personally cover the expense of any problems, mishaps or issues while travelling. The cost of travel insurance is dependent on where you are travelling, how old and if its a single, multi or family policy. Therefore the cost is different depending on your circumstances. What credit cards have travel insurance? Most VISA, MasterCard and American Express credit cards provide some level of basic travel insurance. However its worth checking with your provider to understand the level of cover in the event of an issue. You should buy your travel insurance immediately or within 10/14 days of when you booked your travel plans. The earlier the better. How much does a travel medical insurance cost? The cost of travel medical insurance depends on your age, level of cover and length of a trip. However, medical travel insurance can cost between $5 and $100 a week. How much does medical evacuation cost? The cost of medical evacuation is dependent on the location and medical requirements of the individual. However, the average medical evacuation can cost between $10,000 to $25,000. Most VISA, MasterCard and American Express credit cards come with a basic level of travel insurance. However, its advised that you check with your providers and better understand the level of cover provided. Does travel insurance cover multiple countries? Travel Insurance only covers multiple countries, if you select to purchase multi-trip travel insurance. The benefits of travel insurance are that most medical, transport and sports injury-related expenses are covered if you have an accident. Depending on the level of cover you opted for and the period you specified in your application. Vehicle excess cover is insurance that protects you from the excess (or deductible) you will have to pay if the vehicle is damaged or stolen while in your care. If your questions have been answered and you’re now looking for travel insurance, then check out our list of the best travel insurance providers.